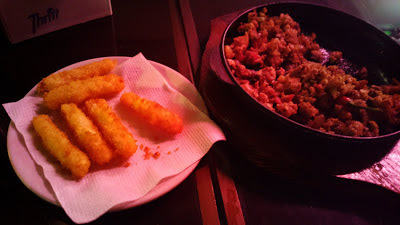 With the demise of Lolong, the famous Guinness World Record holder for the Largest Crocodile in Captivity, I have no idea if this is timely to share about crocodile meat dishes but well, I’m sharing about it anyway. 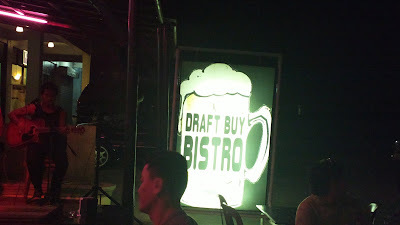 If you’re on your way to Baguio City for Panagbenga, you might want to drop by Draft Buy Bistro in Urdaneta City for a few mild drinks specially if you’re driving and of course, for the exquisite and exotic crocodile meat dishes offered in this resto bar. 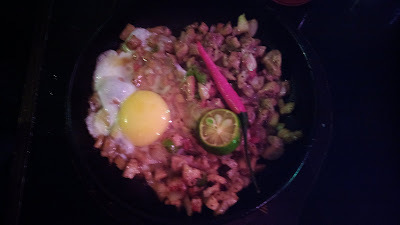 The place isn’t a fine dining restaurant so don’t expect anything fancy but pulutan or side dishes for your drinks. You will find the usual French fries, onion rings, cheese sticks, chicaron (fried dried pork meat), sisig (meat or fish served via a sizzling hot platter), grilled meat, and so on. If you’re lucky, you can save money with highland legumes (mani or peanut) through peddlers who often offer stuffs. There are even children offering all sorts of items including onion cloves, calamansi (local version of the Chinese orange), watermelon, and other fruits or vegetables which can be sold. But I dare you to try any of the crocodile meat dishes! My first taste of it was worth the experience. It tasted like chicken or frog meat, not the warts full type of frog on alleys and streets but the farm based soft skinned ones which are edible of course. During another visit with friends, they agreed that it tasted like turkey meat but was a bit oily. All croc meat used are farm fresh and with certification because they can't be sold without necessary permit. You’ll find the usual beer, ladies drinks, cocktail drinks, juices, and so on. At the bar area, there are bottles of classy drinks as well. 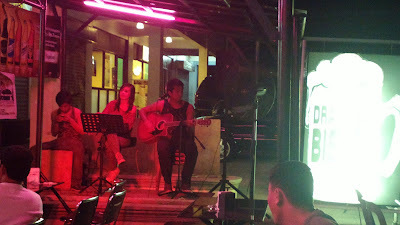 Live acoustic bands play daily from 8 PM onwards. You can even sing with the band when you’re quite confident enough or maybe with a tipsy type of confidence at anytime during their session. I tried it once and it was fun. Several young waiters, waitresses, and bartenders will attend to your needs right away. The place is perfect if you want a bit of fresh air because most tables and chairs are situated outside the bar in an open area. You’ll hear noisy vehicles from a nearby highway though. Parking space is ample because the vacant space right in front of building also serves as an extension of the parking lot. Ground floor T&S Bldg. 1, MacArthur Highway, Urdaneta City right beside Honeyrock Bistro. 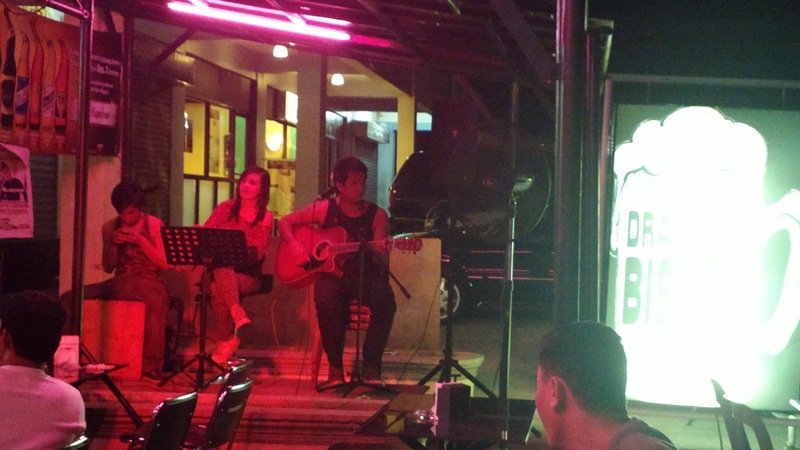 If you’re looking for an open air night out venue with music and an exotic dish, then this bar is ideal for you.